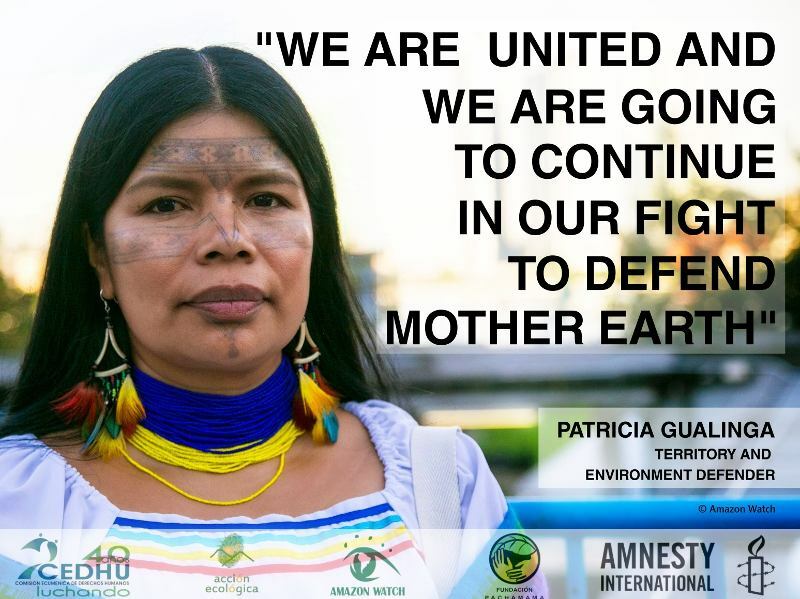 The women of the Ecuadorian Amazon have put their government – and extractive industries – on notice. Hundreds marched on International Women's Day, then occupied the Presidential Plaza for a week and demanded a meeting with President Lenin Moreno. When they secured this meeting, these environmental and human rights defenders resoundingly rejected oil and mining activities on their lands. These actions were in response to to the government's plan to tender sixteen oil blocks of pristine, roadless rainforest without consulting the indigenous communities who hold titles to this land, and to threats of violence against frontline women who have been vocal in their opposition to the oil industry. Oil majors Shell and Exxon are reportedly interested in submitting bids for these new oil blocks. Many are re-packaged concessions that previously ended in stranded assets and arbitration court battles for companies like ARCO, ConocoPhillips, Perenco, Burlington Resources, and CGC (Compania General de Combustible) – all of whom had their projects paralyzed, declared force majuere, and abandoned drilling plans in the face of adamant indigenous opposition. In Peru's northeastern Amazon, the Achuar, Kichwa, and Quechua people of the region occupied oil platforms in fall 2017, demanding proper consultation and compensation for the environmental contamination and public health impacts of oil extraction in the area. The protests shut down oil extraction on block 192 for 43 days, leading Canadian company Frontera Energy Corp to seek to declare force majeure. The government ultimately agreed to provide healthcare and ensure consultation, but many in the communities remain opposed to any oil drilling on their territories. And in Brazil, President Temer continues to roll back environmental protections in collaboration with the ruling ruralistas, opening up previously protected areas to mining and agribusiness. 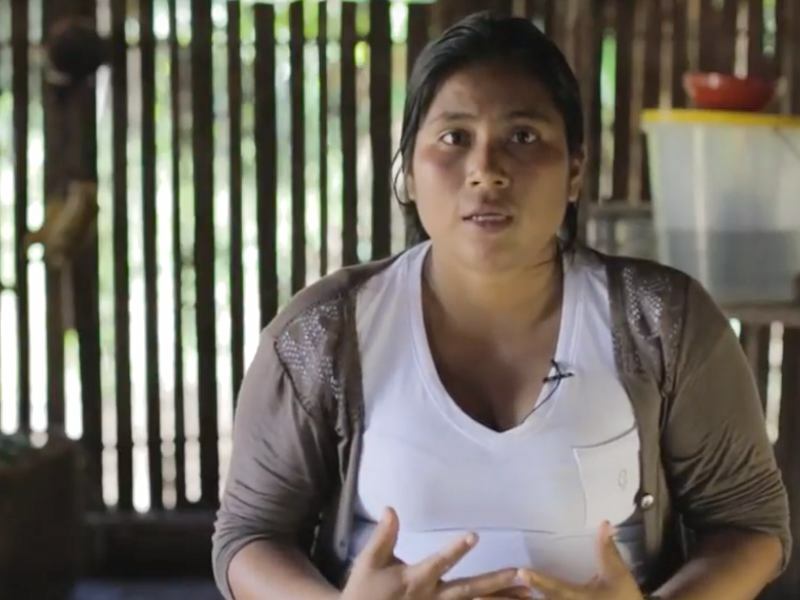 Across the Amazon, the situation is equally dire: industrial development is expanding and environmental and human rights defenders face a renewed wave of death threats and criminalization. Nevertheless, indigenous peoples continue to rise up, demanding that policymakers and corporations respect their territories and their right to free, prior, and informed consent, and putting their bodies on the line to stop projects that they oppose. This means that investments in oil, gas, and mining operations – or using Amazon crude oil in company operations – pose significant financial, legal, and reputational risks to corporations. Financial institutions are beginning to recognize these risks. Institutional investors like California Public Employees' Retirement System (CalPERS) are considering incorporating language regarding Free, Prior, and Informed Consent (FPIC) into their investment principles and many investors, notably the City of New York, are choosing to divest from fossil fuels entirely. In this context, the importance of informed and socially responsible investment should not be understated. A November 2017 Amazon Watch report revealed that BlackRock, the world's largest asset manager, and JPMorgan Chase, one of the world's largest banks, hold investments in GeoPark, Frontera, and the parent companies of Andes Petroleum. These three oil companies have operations in indigenous territories in the heart of the Amazon rainforest, where communities have not been properly consulted and, in multiple cases, are explicitly opposed to oil developments on their lands. Investments of these sorts of companies flies in the face of statements and commitments by these companies about the importance of social responsibility and climate risk mitigation. In response to these findings, Amazon Watch and our partners at CREDO Action collected over 120,000 petition signatures calling on BlackRock and JPMorgan Chase to divest from oil companies operating in the Amazon. In January 2018, Amazon Watch and allies from Rainforest Action Network, Idle No More SF Bay, and other groups delivered these signatures to BlackRock's corporate office in downtown San Francisco. Although he did not respond directly to us, the following day, BlackRock CEO Larry Fink wrote an open letter to companies in which BlackRock invests urging them to serve "a social purpose" and "engage early and often with activists." In March 2018, Senators Whitehouse and Schatz sent letters to BlackRock requesting that the financial institutions address the climate and social risk of financing oil companies operating in the Amazon and other high-impact areas. The time ripe for BlackRock and JPMorgan to align their investments with their rhetoric about the importance of environmental and social governance (ESG) issues, and stopping financing oil companies operating in the Amazon on indigenous territories is one good place to start. A Summer 2017 Amazon Watch report tracked Amazon crude oil from California refineries to California fuel distribution terminals. This research, the first known instance in which a particular form of crude oil has been tracked to its distribution hubs, provided companies the necessary tools to go Amazon crude-free. This report builds on previous Amazon Watch engagement with leading Fortune 500 companies and trade associations regarding their use of Amazon crude oil in company trucking operations. Ironically, one of the companies that has been least receptive to Amazon Watch's outreach claims the rainforest's name: Amazon.com. As one of the world's largest retailers, Amazon.com has a large transportation footprint and lags behind its peers in climate disclosure and transport sustainability. In response to their silence and inaction, we have launched an action calling on Amazon.com to protect the real Amazon rainforest. GeoPark, an emerging Chile-based oil company, signed a contract for Peru's controversial Block 64 in 2014 and received regulatory approval for their exploration plans in late 2016. As reported in an article published in E&P Magazine, "GeoPark plans to invest between an estimated $6 million and $9 million on environmental impact studies and preliminary engineering works and facilities in the field acquired. According to GeoPark, the company expects to start producing oil by the end of 2019." The company continues to ignore the long history of opposition from Achuar indigenous communities that account for the majority of the block's population. The oil block is located in the Amazonian province of Loreto, where the Kichwa and the Achuar indigenous peoples have seized oil wells, demanding compensation for decades of contamination. Since Block 64 was created in 1995, international oil companies ARCO, Occidental, and Talisman have all acquired the concession for and then subsequently withdrawn from the block due to fierce opposition from local community members. This resistance continues. 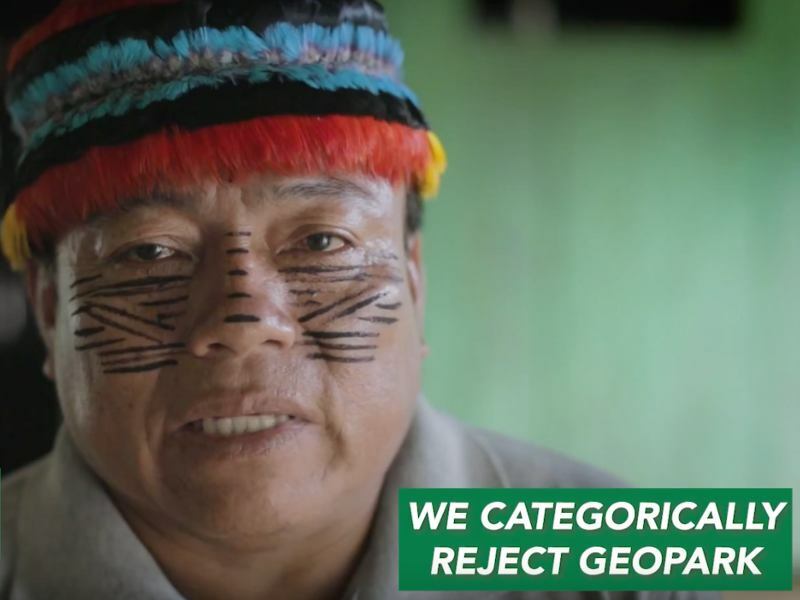 In late 2017, FENAP, the region's indigenous federation, reiterated their opposition to oil drilling and renewed their pledge to prevent GeoPark from entering their territories. Chevron faces continued shareholder and legal challenges relating to management's mishandling of the Ecuador case and climate risk, including a shareholder resolution by Zevin Asset Management and a lawsuit in Canada seeking to seize substantial Chevron assets to satisfy the $12 billion judgment for clean up and health costs of the toxic pollution left by Texaco, which merged with Chevron in 2001. Every appellate court in Canada to hear the case has ruled unanimously against Chevron since the enforcement action began. Moreover, the Ontario Court of Appeal has stated that the case against Chevron is "public interest litigation" and that "there can be no doubt that the environmental devastation to the appellants' lands has severely hampered their ability to earn a livelihood." The next hearing, scheduled for April 17-18 in Toronto, will feature witnesses from the Assembly of First Nations of Canada, which recently signed an unprecedented agreement to support their Ecuadorian indigenous brothers and sisters' pursuit of justice. The ripple effects of this hearing – coupled with a new CEO, Michael Wirth, at the helm of Chevron – could well tip the balance in securing a historic level of Chevron's shareholders repudiating Chevron management's handling of the Ecuador case and lead to a reasonable settlement with the Ecuadorian communities. On the banks of Brazil's lower Xingu River, where communities and ecosystems already suffer the negative impacts of the nearby Belo Monte hydroelectric dam, a controversial new project threatens to cause further harm. The Canadian company Belo Sun plans to excavate Brazil's largest open-pit gold mine into the banks of the Xingu. In its efforts, Belo Sun has used many unscrupulous measures to obtain project licensing and avoid its responsibility to consult the peoples threatened by the mine. Meanwhile, the firm, owned by the Toronto-based merchant bank Forbes & Manhattan, projects a rosy picture to investors about environmental stewardship despite plummeting stock prices and multiple legal challenges. 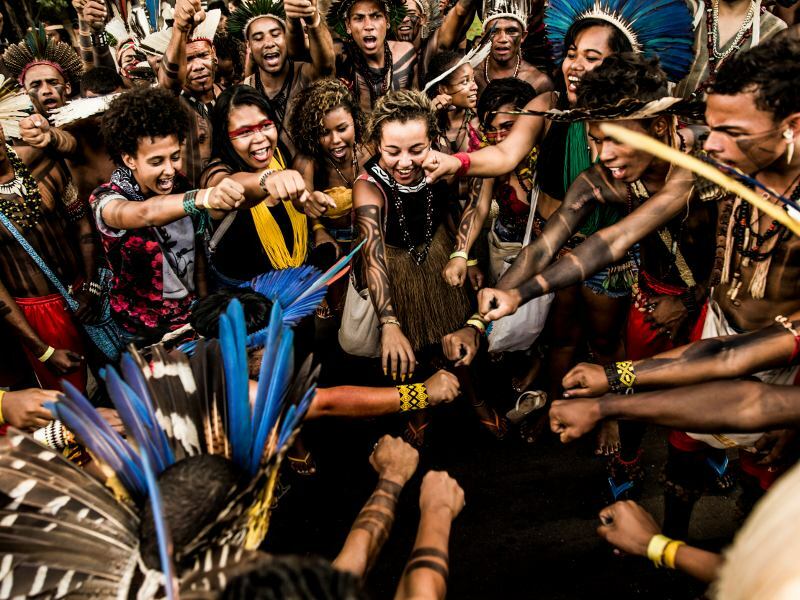 Last December, in a powerful victory for indigenous rights in Brazil, a federal court unanimously revoked the company's license to drill citing Belo Sun's failure to uphold the right of local indigenous communities to prior consultation on the project's complex social and environmental impacts. In its reckless efforts to cut corners and ram its project through, Belo Sun has built a house of cards for investors, showing that its mega-mine is not only toxic for the Amazon and its peoples, but also for its very own shareholders. 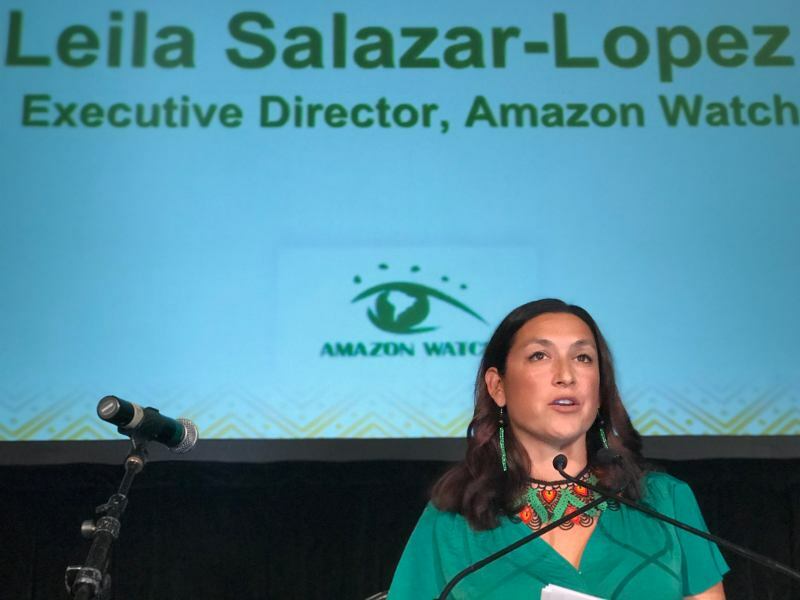 If you are interested in learning more about Amazon Watch's campaigns and opportunities for shareholders and sustainable investors to engage with our advocacy efforts, please reach out to our End Amazon Crude campaigner Zoë Cina-Sklar at zoe@amazonwatch.org. 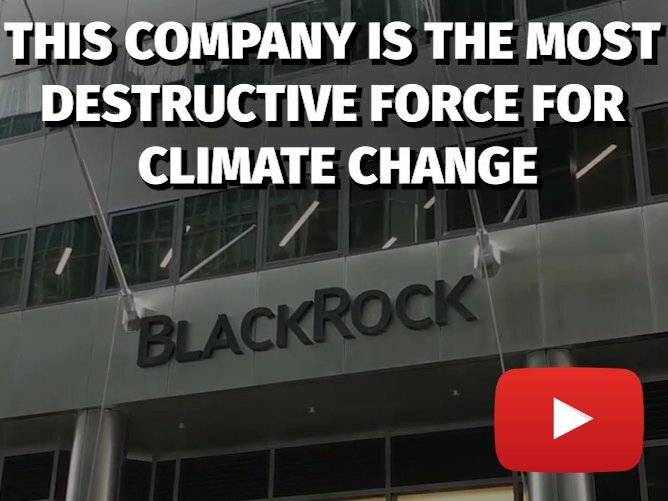 Tell BlackRock: Stop Financing Amazon and Climate Destruction!